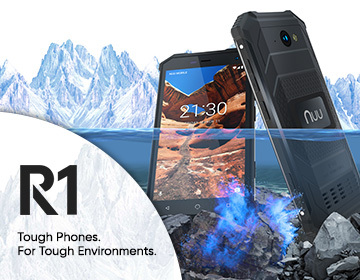 NUU Mobile, a global manufacturer and supplier of high quality, unlocked smartphones, today announced the relaunch of the new, even better G3 smartphone. The latest version has been upgraded with Android 8.0 Oreo, and is available in two new stunning colors, Ruby Red and Tiger’s Eye Golden Brown. The existing Sapphire Blue version of the G3 now also includes this software. The innovative smartphone is currently available on NUU Mobile’s website and on Amazon for $199.99. Built with the Android 8.0 Oreo operating system, the G3 provides a faster, more powerful user experience and comes with features like picture-in-picture and autofill to help users seamlessly navigate tasks both for work and for pleasure. Additionally, the G3’s new operating system features stronger security protections and speed improvements that keep users both secure and operating at rapid speeds. NUU Mobile has recently partnered with Mint Mobile, and for a limited time is offering a special holiday season deal exclusively on the NUU Mobile website for smartphone shoppers. Each G3 purchase now includes a Mint Mobile SIM card and three months of complimentary wireless service, including unlimited, talk to all of North America (U.S., Mexico, and Canada), unlimited text, and 5 GB of 4G LTE data per month. This promotional bundle also includes a free upgraded case, and free, FedEx two-day shipping. This exciting, special promotion features a combined savings of more than $85! “Bringing extraordinary value to the customer is something we push for every day at Mint Mobile. The opportunity to partner with NUU Mobile and create this breakthrough bundle is very exciting. We know it takes something special to get people’s attention during the holiday season and this offer does it hands down,” added Aron North, SVP Marketing & Creative at Mint Mobile. The NUU Mobile G3 offers 4G LTE and WiFi connectivity, and dual SIM technology that allows the user to switch between two numbers and data plans, a feature that is ideal for international callers and others. It also is equipped with facial recognition and fingertip digital sensor technologies, as well as NFC. With NFC, users can use the G3 to tap and pay for purchases at stores that have tap and pay transaction capabilities. NUU Mobile specializes in high-quality, budget-friendly smartphones that meet the demands of tech- and price-savvy consumers. An unlocked smartphone and dual SIM technology leader since 2012, they are headquartered in Miami and Hong Kong with offices in Minnesota, London, and Indonesia. The company employs over 3,000 people worldwide, with over 250 R&D staff. The NUU Mobile G3 unlocked smartphone, now powered by Android Oreo, is the perfect combination of beautiful design and high-quality features, and its shimmering color instantly becomes a conversation each time you use it. To learn more about NUU Mobile and the G3, please visit nuumobile.com. Disclaimer: Android and Google are registered trademarks of Google Inc.